Putting a Bull in Place; from Layard. 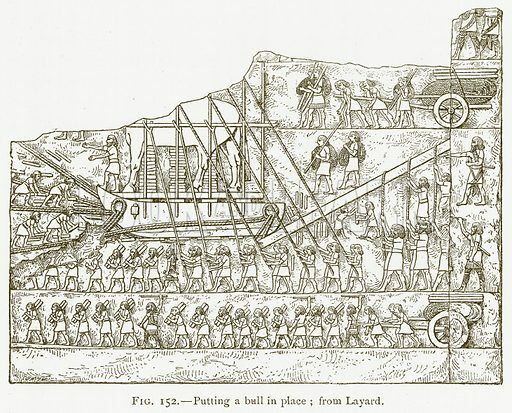 Illustration for A History of Art in Chaldaea and Assyria by Georges Perrot and Charles Chipiez (Chapman and Hall, 1884). Available worldwide for immediate download up to 4,453 x 3,593 pixels.